Here is where you can register for The DSRL Ginetta Junior Sprint Cup. To register as a privateer, you must state, your full name, your, gamertag and car number preference. Please look at the list of numbers that are free and register with this number. To register as a team, you must state, your team name, both drivers full names, both drivers gamertags and car number preference. Both team mates will run the same number on there car due to there being no team liverys within the game. Nice too see you Toast! Thanks man! saw the car choice in your xbl message and I just had to sign up haha. Looks great! Hahaa. Yeah it should be good. It's different to GT3 and series like that. D4ninho and Micko are now a team here in the #80 car. At thier celebrity team private dinner last night, team " MUNLOW RACING " anounced thier number and sponsers for this years Ginetta cup. and the people behind them !,for thier support this season. 1. Stevielow AKA " Pitman "
Hello odbba11. Welcome the forums. 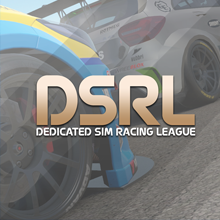 Welcome to the DSRL oddba11!!! Welcome! Don't forget to introduce yourself to everyone so we know a little more about you! Click Here!